Outside money has flowed into the race for Montana Supreme Court, helping former Solicitor General Lawrence VanDyke challenge incumbent Mike Wheat. Campaigns for the Montana’s Supreme Court may be nonpartisan by law, but record spending and aggressive ads by independent groups is making one high court race look anything but. Groups unaffiliated with the campaigns of incumbent Justice Mike Wheat and his opponent Lawrence VanDyke have reportedly pumped more than $730,000 into ads that paint both candidates as tools of special interests. That’s far more than the $165,000 total raised by the candidates themselves as of late September. In the end, the total spent on the race could top $1 million. Christopher Muste, a professor of political science at the University of Montana, said the outside spending poses a challenge to voters because it makes it more difficult to separate what the candidates are saying from what is coming from outside sources. “The outside spending might be more influential in a race where the candidates are less known,” he said. "For the Supreme Court election, it's more problematic because we expect (the candidates’) decisions to be above the political fray." Muste added that Montanans should expect outside spending in Supreme Court races to continue into the future, especially if VanDyke wins. Such groups sprang up nationally in the wake of the U.S. Supreme Court’s Citizens United ruling. They first appeared in Montana’s nonpartisan judicial elections two years ago, raising the temperature of a race between now-Justice Laurie McKinnon and her opponent Ed Sheehy. So far, that group alone has reportedly raised more than $400,000 and spent $330,000 on advertising that either touts VanDyke or attacks Wheat. According to opensecrets.org, the group’s top contributors include cigarette maker Reynolds American, insurer Blue Cross/Blue Shield, the U.S. Chamber of Commerce and Koch Industries, the energy giant founded by brothers Charles and David Koch. Another anti-Wheat group, Americans for Prosperity – Montana, is an offshoot of another group founded by the Koch brothers and others. 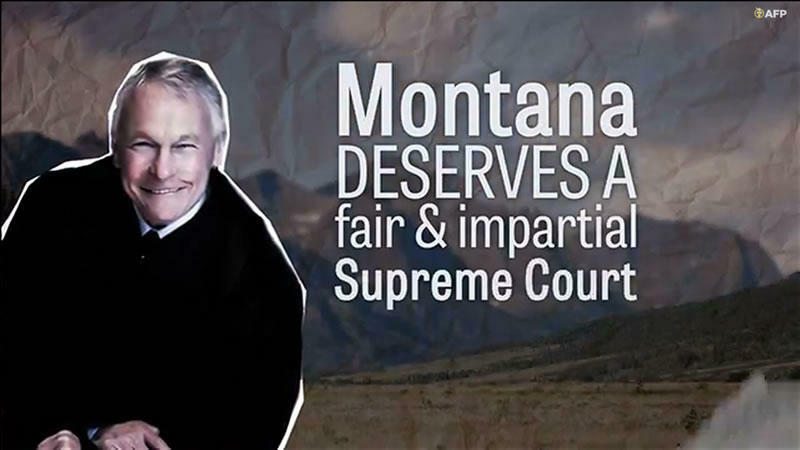 A third, Montanans for a Fair Judiciary, was established by Republican consultant Jake Eaton. The one group supporting Wheat is running ads and mailers claiming that VanDyke is “in the pocket” of out-of-state interests. 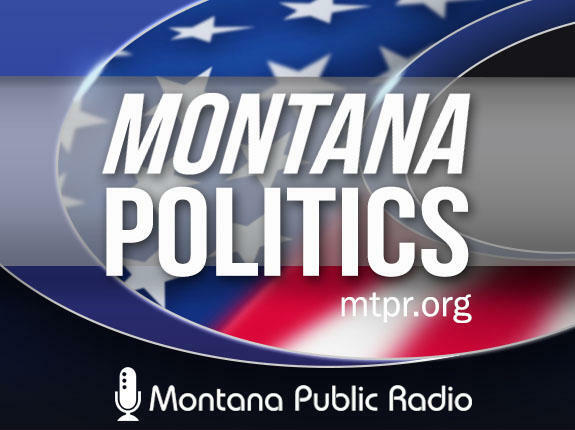 That group, Montanans for Liberty and Justice, is a Montana-based group whose officers include former state Sen. Steve Doherty and Al Smith, executive directory of the Montana Trial Lawyers Association. That group has reportedly spent about $265,00 in support of Wheat. Such groups may spend an unlimited amount on the campaigns – as long they don’t coordinate their efforts with the candidates themselves. That money comes on top of contributions from PACs and individuals that go directly to the candidates. Wheat has support from Montana AFL-CIO political action committee and the Montana Education Association and the Montana Federation of Teachers (MEA-MFT) political action committee. Notable individual donors to Wheat’s campaign include former Gov. Brian Schweitzer; Chief Justice Mike McGrath; former Justices Terry Treiweiler, William Leaphart and James Nelson; retired federal Magistrate Judge Leif B. Erickson; former gubernatorial candidate Dorothy Bradley; former University of Montana law school Deans Ed Eck and Martin Burke, and the school’s interim dean, Greg Munro. VanDyke drew contributions from political action committees that include the Montana Oil and Gas PAC, the Montana Petroleum Marketers PAC and the Carbon Country Republican Women’s PAC. Others include the Montana Bankers’ PAC, Montana Coal Council PAC, Montana Farm Bureau PAC and Montana Realtors PAC. Prominent individual contributors to his campaign include former Congressman Rick Hill, Public Service Commissioners Kirk Bushman and Roger Koopman, Montana Chamber of Commerce President Webb Brown, Senate Majority Leader Jeff Essmann, Bozeman software entrepreneur Greg Gianforte and Ian Davidson, the CEO of D.A. Davidson. The Montana Supreme Court could have decided one of this year’s election campaigns long before November – a race for a seat on that very court. 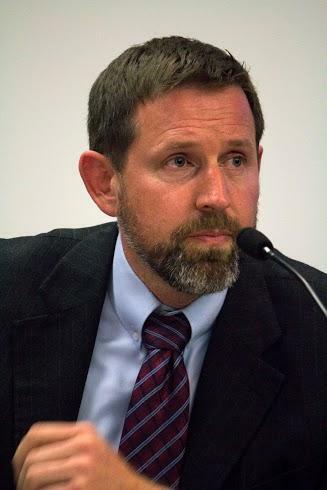 In April, a district judge struck Solicitor General Lawrence VanDyke’s name from the ballot after ruling he had not been admitted to the bar at least five years prior to the November election. This week on Campaign Beat: Is the Stanford/Dartmouth apology too little, too late? Who is Americans for Prosperity and why are they spending so much on a Montana Supreme Court race? How effective are the new ads in the House and Senate races? "Campaign Beat," our weekly political analysis program, appears on Fridays throughout the fall election season. Former MTPR news director and now senior news analyst, Sally Mauk, hosts the program. She's joined by Lee newspapers Capitol reporters Chuck Johnson and Mike Dennison. Dartmouth College and Stanford University today apologized for a controversial Montana campaign mailer. They’ll send follow-up letters to the 100,000 people who got that mailer, telling them to ignore it. Those letters are supposed to arrive before election day. "I think it’s a good first step," says Linda McCulloch, Montana's Secretary of State. "I think it’s a good pre-election step."